Decepticon Operational Status Update, reported by Soundwave: Most Decepticons think they are close to winning the war with the Autobots. Dead End believes the end is closer still. When motivated to speak, Dead End will explain that the Universe is doomed and the finale is imminent. With such a fatalistic view, it's odd that Dead End spends so much time polishing his armour and washing his vehicle mode. What seems ridiculous to some makes perfect sense from his point of view: he just wants to look his best when Armageddon finally strikes. His radar scanner covers hundreds of miles and he's been clocked at 220 miles per hour in vehicle mode. His battle club is a fearsome weapon in combat, capable of unleashing a concentrated blast of compressed air without warning. With fellow Stunticons forms Menasor. History (extracted from compulsory biographical download): The Stunticons were created by Megatron as the Decepticon response to Autobot dominance of the streets and highways of Earth. It was on Earth that Dead End found his only 'happy place' � sitting alone in a darkened car wash. That depressing outlook makes him a tedious teammate, but his participation is vital to the Stunticon team. 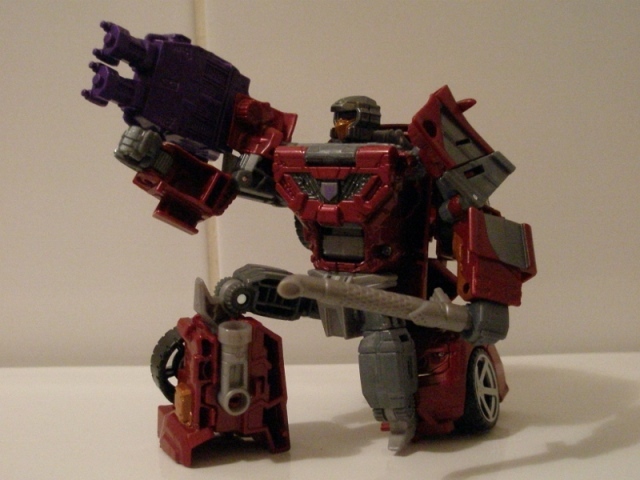 Forms either an arm of a leg of Menasor, the combined form of the Stunticons. 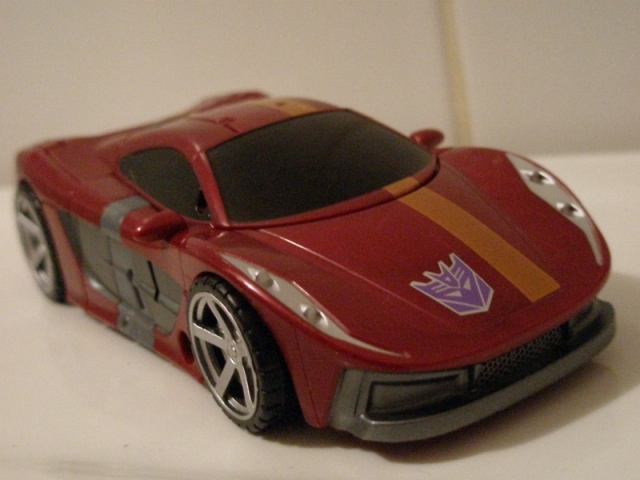 Dead End was the sole Stunticon I owned back in the day. I loved his slick sports car styling and the mix of deep, rich colours on him. He looked deadly and made this particular sub-group one of my favourites. So I am rather pleased that this miserable misanthrope has got a such a superb update. He doesn't look quite as deadly as his original toy, but there's enough going on here to be equally as impressive in its own right. Especially as Hasbro have kept the name Dead End in constant use, so he's not stuck with an annoying prefix, or a new name entirely. 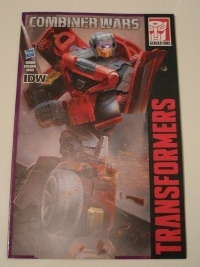 Or worse, some poor relation of his original name like the rubbish Hot Rod gets stuck with these days. Robot Mode: In one of the rare occasions I approve of the designers slavishly following the Sunbow animation models, Dead End is rocking his cool googles and face plate look, rather than the generic peg-head of his original toy. 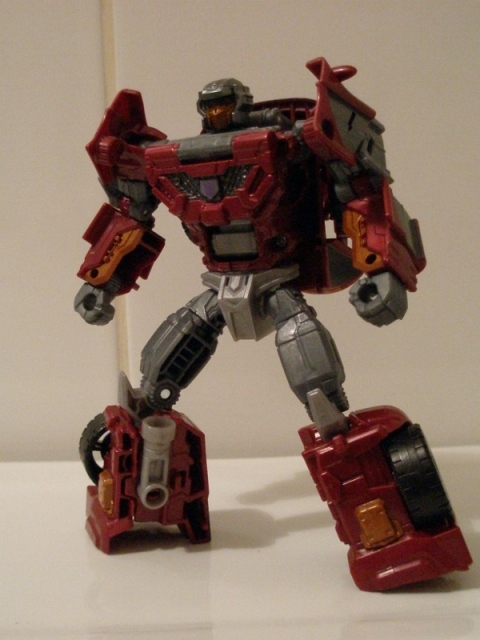 As well as his tidy looking noggin', Dead End has a nice boxy little body, all stocky and chunky like an Oxo cube. He looks like a right little brusier. Which is a good job, given that his weapon is er, a chunk of exhaust pipe. Sorry 'Shock baton'. Sheesh. Detail is great, its busy, but the rich colours suit all this scribbly nonsense. Nothing feels overdone on Dead End's robot mode, and I like that. 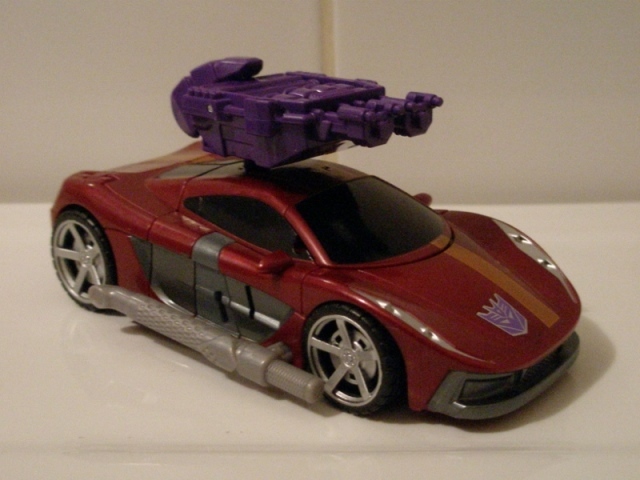 Alternate Mode: Dead End's alt mode is a glorious thing to behold. It's a maroon pebble with a go faster stripe. Its simultaneously really slick and daft looking, rocking as it does the sort of super deformed features of every wide-boy auto shop logo that sells phat rims and body kits. 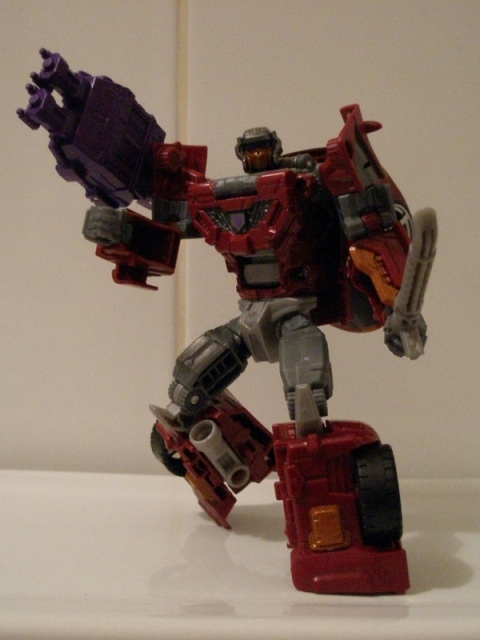 The attack mode looks daft though, but mostly because he big boxy handgun looks out of place with all those curves.